Municipalities could string together smaller “swamps” into prime wetlands, hindering development, according to a opponents of House Bill 326, a measure that would change how wetlands are defined. Nevertheless, the bill passed the New Hampshire House at its March 20 session. Supporters of the bill said that the measure is just trying to preserve wetlands that are crucial to drainage and to preserve wildlife. The bill reverses changes the Legislature enacted in 2011. Those defined prime wetlands to be at least two acres and wider than 50 feet at their narrowest point. That change was instituted because a drainage ditch on a highway would be seen as connecting two wetlands in a prime wetland, said Gary Abbott, executive vice president of Associated General Contractors of New Hampshire. The problem is that the previous change also “took out the little fingers and toes,” said Rep. Chuck Grassie, D-Rochester. Some of those extremities allow for a buffer, so that water that comes off a development’s parking lot “is going to be clean by the time it gets back into the water,” he said. But Renzullo’s ringing claim of upholding the “gold standard” of wetlands was somewhat undermined in his answer to a question from Rep. John Burt, R-Goffstown. “Isn’t wetlands just another word for a swamp?” Burt asked. “Wetlands are swamps with a press agent,” Renzullo answered. 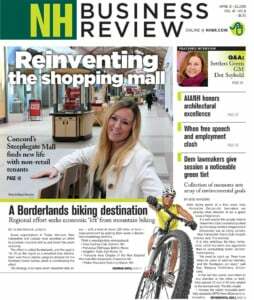 Renzullo also criticized the bill for leaving it up to the municipality to decide whether the narrow portion provides a significant contribution to the primary wetlands, a concern later echoed to NH Business Review by Abbott. “We believe that is a step backwards,” Abbott said. The House passed the bill, 212-134, and it next goes to the Senate.